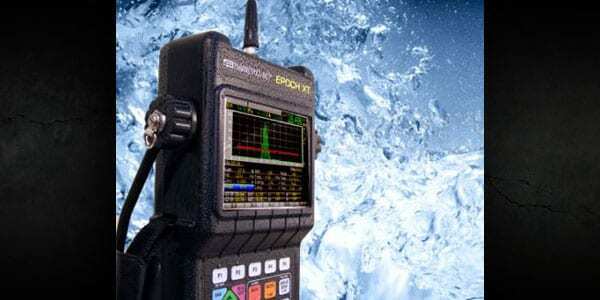 The Olympus Epoch XT is an advanced and portable ultrasonic flaw detector that offers great flexibility and can be used in extreme environments. This rugged tool has environmental seals to withstand the harsh conditions of field operation and has been designed to be vibration and shock resistant. With its color-coded direct access keypad, this lightweight flaw detector gives you fast and easy access to important setup parameters and customizable presets. 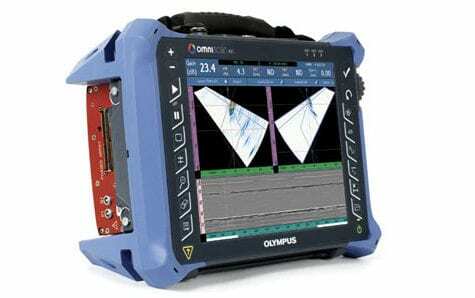 The powerful onboard data logger has a wide range of features to meet your inspection needs. 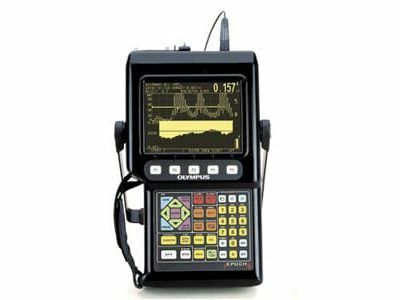 The Epoch XT ultrasonic flaw detector also supports multiple battery types and includes a no-tools required compartment for quick battery replacement. Connect with GageView Pro to store and manage all your tank and pipeline inspection data, and generate reports of your findings. Several import and export options are also available. 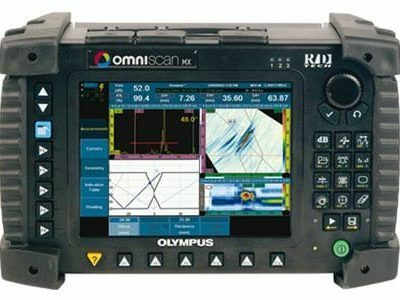 The optional Encoded B-Scan can be connected to the Olympus Epoch XT ultrasonic flaw detector to capture and display the scanned thickness measurements along the distance of internally corroded pipe or tank walls. This powerful, time-saving option allows users to select between bidirectional and unidirectional modes, and can store up to 10,000 thickness readings. “PerfectSquare™ Technology”: Pulse is electronically controlled on both the leading and trailing edges to maximize transducer performance and near surface resolution. All measurements are taken “single shot”.